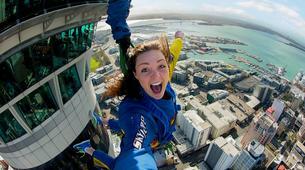 SkyJump is New Zealand's highest jump and only Base Jump by wire. 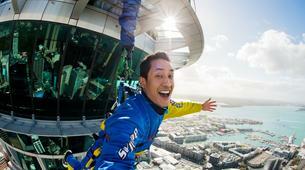 You'll plummet 192 metres off the Sky Tower at 85 km an hour! 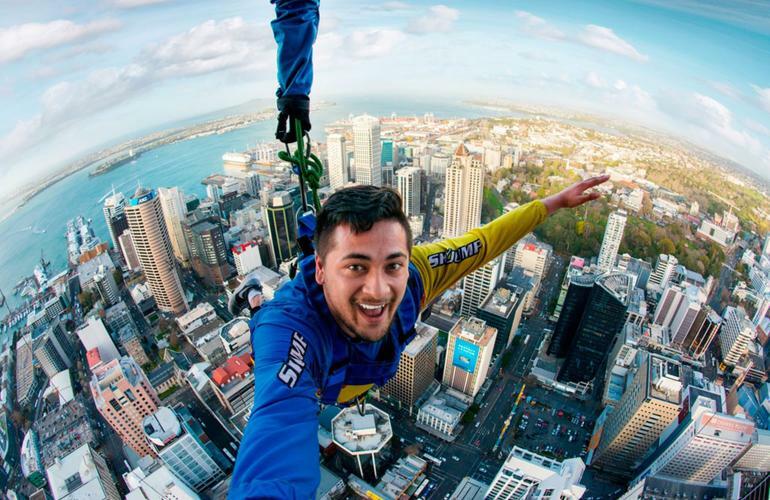 The highly trained jump masters will rope you up and talk you safely up to the edge, until suddenly you'll find yourself balancing on your tiptoes, leaning out over the streets of Auckland far below. 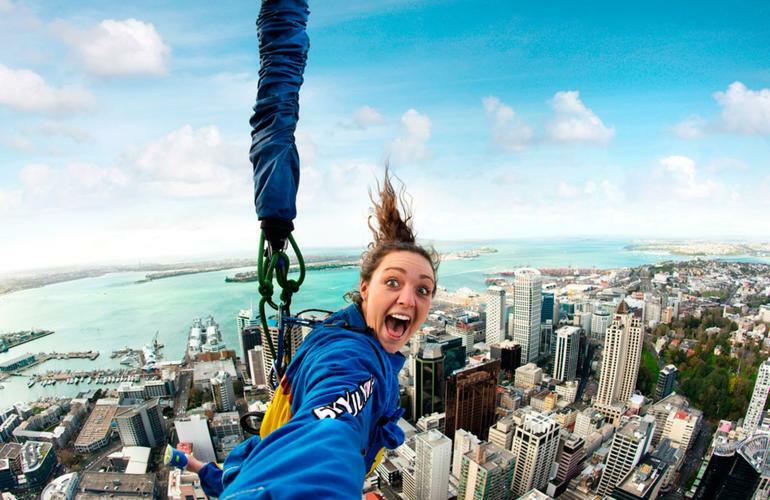 After that there's nothing to do, but let go and fly! 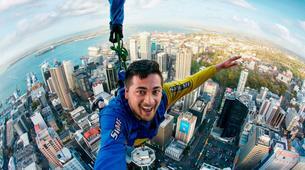 SkyJump can be described as Base Jumping while attached to a wire. 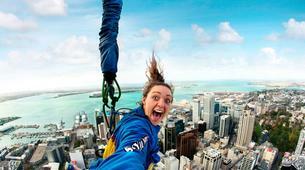 It's just like being a movie stuntman, or a super hero, or a very big bird! 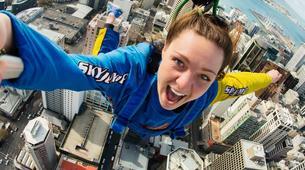 It's different to bungy jumping. 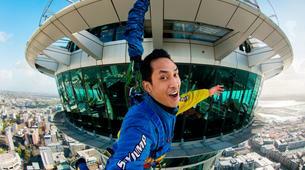 You'll fall very fast (approx 85kph) for around 11 seconds, and then come to a smooth landing in Sky City plaza below. If it's a fine day you might get a round of applause from the crowds enjoying the sun in the plaza. - Perfect for young and old, minimum age of 10, and no maximum age! - The jump masters are rigorously trained and always operate in teams. 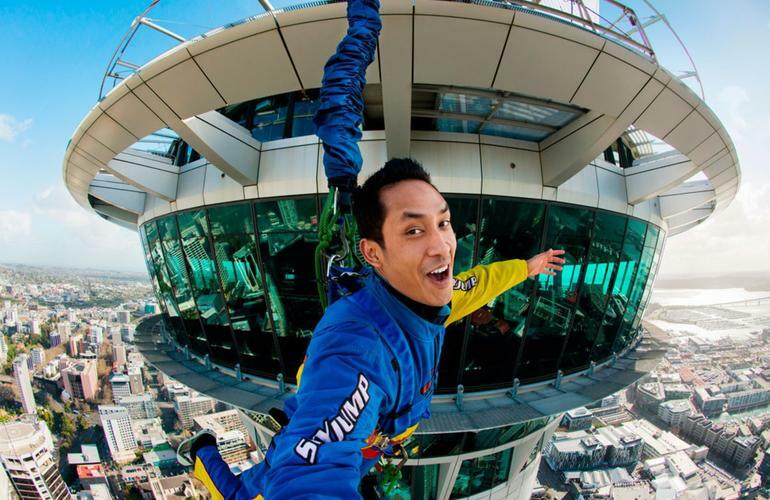 - SkyJump is OSH approved and completely safe. Participants under 14 must provide parental consent. 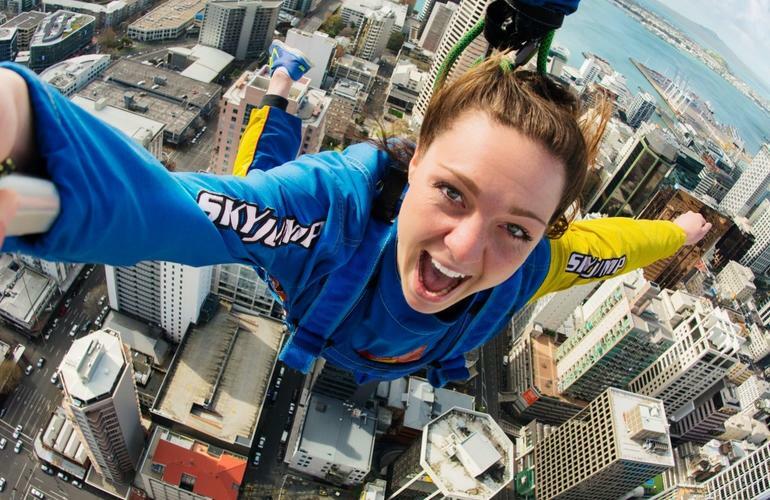 No loose items can be worn for the jump. Please make sure you arrive 15 minutes before your allocated activity time. 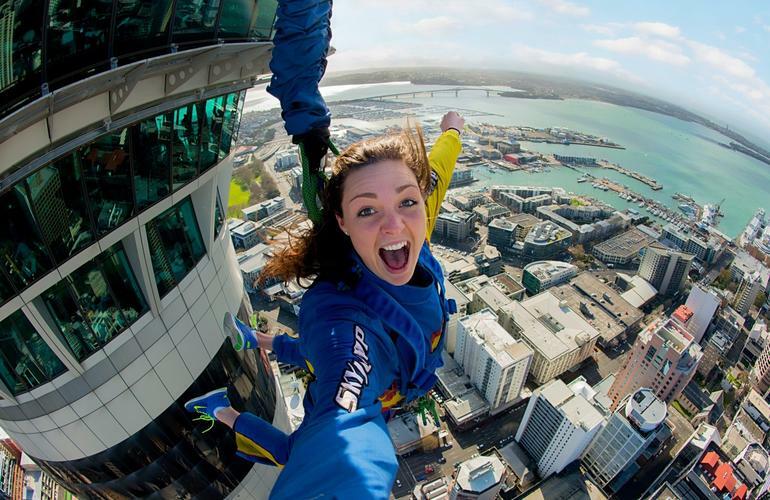 SkyJump and SkyWalk are based in the Auckland Sky Tower, the tallest building in New Zealand, and in the Southern Hemisphere. It's hard to miss really, just look for the tallest building in central Auckland (the one that looks like a needle) and head towards it! 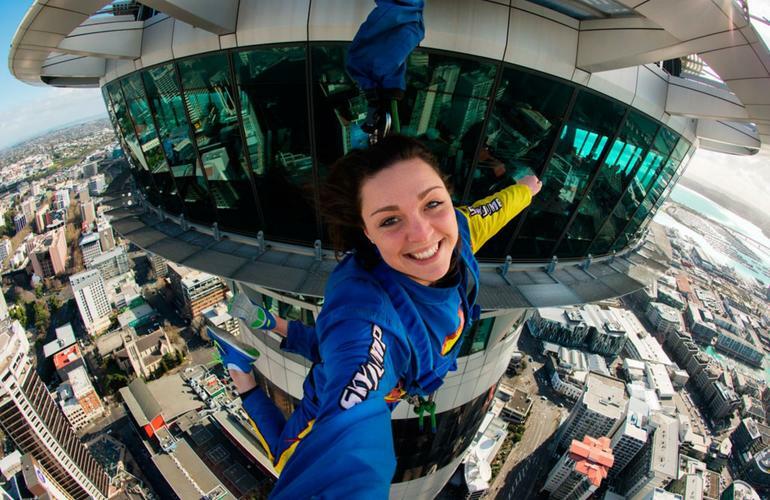 The physical address for the Sky Tower is the corner of Federal and Victoria Streets, Auckland. 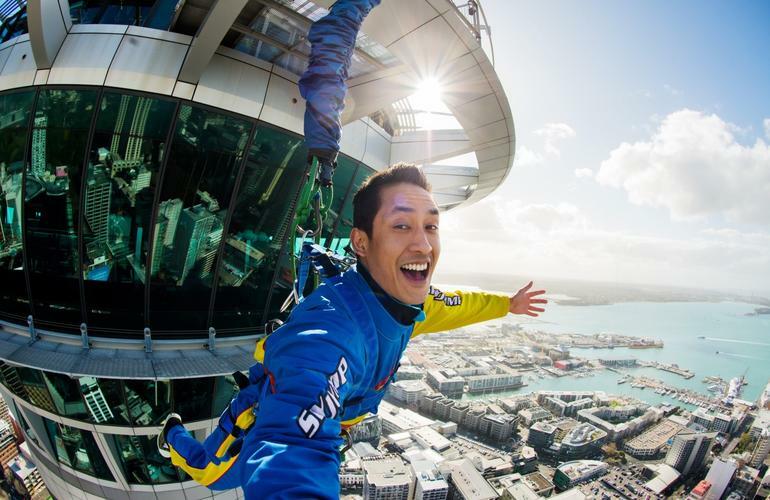 Once you reach the Sky Tower, the reception is located downstairs, underground in the base of the Sky Tower, so take the escalators DOWN, turn right when you get to the bottom of the escalators, follow the signs for SkyJump/SkyWalk and check in at the reception. I've jump for the first time and it was really really amazing !! The team was also really kind and funny ! A really great experience !! Thank you again for this amazing jump ! Brilliant. 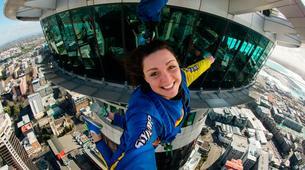 Staff were amazing and made me comfortable considering I have a fear of heights. Very detailed and very friendly.